The U17s started their D2 league at home to Drumkeeran on Saturday last. The Annaduff lads got the first score with a point from a free by Liam but the visitors got the next 3 points before Michael got one between the posts. The visitors got 3 goals before the break while Liam scored 2 and Jason got 1 point to leave the sides 4-04 to 0-05. In the second half the Annaduff lads shook off the cob webs and got more into the game which seen Liam get the first score with a point followed up by a goal from Jason another goal followed by Drumkeeran before Cormac found the net followed by a point from Frank and Jack H and another from a free by Liam leaving the sides alot closer by the end of the game. Full time score; Annaduff 2-09 Drumkeeran 5-07. We are away to RinnGaels on Saturady next at noon venue yet to be confirmed. Team; Padraig Kane, Joe O Carroll, Daniel Bosquette, Jack Kelly, Ultan Kelly, Jack Hughes(0-1), Francis Shanley(0-1), Jason Ward(1-1), Michael Murray(0-1), Declan Gill, Liam Taylor(0-5)(2f).Subs; Tommie Taylor for Declan, Cormac Kane(1-0) for Daniel. U13s also started their D2 league home to Fenagh St Callins on Sunday last under terrible conditions a close game throughout finishing up with the visitors wining by 4 points. Full time score Annaduff 3-05 Fenagh 2-12. We are away to Glenfarne/Kilty on Sunday next the 25th Febuary. Team; Liam McNamee, Eoghan Ridge, Patrick Beirne, Oran Beirne, Oisin Molloy, Kevin Faughnan, Darren Cox, Kyle Russell, Caelan Newton, Senan Mooney, Oisin Hannon, Eamonn Healy, Jack Higgins, Josh Gill and James Morgan. Boys Underage Registration took place on Sunday there was a great turn out thanks to all the parents and Coaches for their help. The Annaduff Parish & GAA lotto Next draw takes place in the Brandywell Sunday 25th February. Jackpot now stands at €3700 !!! Please get your tickets from all pubs in the parish or an annual ticket is also available get your tickets in and as always thanks for your continued support. Congratulations to a former Player and Physio (often at the same time) Ronan Conroy Annaduff Glebe who Married Mary Rock recently I believe the two are honeymooning in the Maldieves at the moment best wishesfor your future together. Also to a current player Noel Ward Gortinty on his marriage to Tracey O Leary over the weekend who hails from Killarney we also wish them best wishes for the future. The underage boys are due to kick off on Saturday next the 17th with our U17s playing host to Drumkeerin at 12 noon. Sunday at noon sees the U13s start their league also at home against Fenagh-St Caillins. Please come along and support the lads !! Best of luck boys as the years football begins. Reminder; 2018 Boys registration is to take place on Sunday next 18th February in the club house from 12 noon to 1-30pm come along and meet the coaches new members always welcome!! Next draw takes place in the Brandywell Sunday 25th February, Get your tickets in and as always thanks for your continued support. We express our sincere sympathy to the family of the late Paddy Phelan station road Carrick on Shannon. The boys underage registration will take place on Sunday the 18th of February. Anyone living in the parish between Dromod village to Drumsna and all in between come along on the day meet the Coaches new members always welcome! The Annaduff Parish & GAA lotto draw will take place in Duignans, Drumsna on Sunday next 11th. Jackpot now stands at €3600 !! Get your tickets and as always thanks for your continued support. The Last Man Standing competition for Annaduff GAA club fundraising is now up and running thanks for all the entries and best of luck guys . The Leitrim supporters club tickets are out doing the rounds, please make sure to get your ticket off our own Club members. As the club is given an allocation that has to be sold, thanks for your support as always!! Great to see the new Gym up and going. A great layout in a gym having access to squat racks, barbells, kettlebells, dumbells, resistance bands and other mobility tools such as foam rollers. Happy training to everyone using it. The U17s, U15s and U13s have started training. The league is due to start on Saturday 17th of February with U17s & U13s start the same day. If anyone has any up coming events or club news you wish to get into the notes or web page / facebook etc please pass it on to me during the coming year niall@annaduffgaa.ie . The Last Man Standing competition for Annaduff GAA club fundraising, €10 entry. Each week simply pick One team from the up coming national leagues D1 or D2 to win – If your team wins you go through to the next round, lose or draw and your out. You cannot pick that team again during the competition. Last person standing gets half the pot and the balance goes to the club. Get your entry in asap.!!! Well done Vivienne Egan flying the Annaduff flag on Saturday last when the Connacht PPS Ladies Gaelic football interprovincial shield final over coming the Leinster Ladies on a scoreline of 3-05 to 1-05. Also from Leitrim was Eímhín Quinn (Captian) & Roisín McGrenaghan, Well done Girls. The Annaduff Parish & GAA lotto draw took place in Coxs Stake house Dromod on Sunday ,winning numbers 11,13,15,16. No winner, Jackpot now stands at €3600 !! Next draw Duignans Drumsna on the 10th of February get your tickets in, and as always thanks for your support. Our adult men had their first game of the year away to Kilmore on Sunday last. A good strong performance by the Annaduff side. The boys underage registration will take place on Sunday the 18th of February. We aim to start our younger lads U7s to U11s from Saturday 7th of April. The club would like to extend its sympathy to the Ward family Aughamore, on the death of Tony following a long illness bravely borne. To his family and friends we extend our sincere sympathy. The club wish Johnny O Connor best wishes and a speedy recovery following his recent illness. Hope it wont be too long until the football boots are back on. !! The next draw for the Annaduff parish and GAA lotto takes place on Sunday 28th January in Coxs Dromod. Please get your tickets in any of the pubs/shops in the parish €2 per ticket also available on the Annaduff gaa web page. The jackpot now stands at €3500. Don’t forget you can also buy an annual ticket for €50 off any of the lotto committee thanks for your support !! The Leitrim supporters club tickets will be on the way in the coming week or so, please make sure to get your ticket off our own Club members, As the club is given an allocation that has to be sold, thanks for your support as always!! As the Adult men continue with training any lads in the parish that hasn’t played ball in a while NOW is the time to stick on them boots and call up to a training session Karl and his team would be delighted to see you!! Training Tuesday’s and Friday’s at 8pm. A large crowd attended the first round of the FBD League in the Centre of Excellence in Annaduff on Wednesday last, An impressive Roscommon side dominated most of the game, but great to see our own player Conor Reynolds make his senior Inter County debut in the second half we wish Conor every success. Great to see a good turnout to the start of training during the week for 2018 we wish manger Karl Foley along with Terry McGuinness, David Duignan, Kevin Ludlow, Micheal Rowley and Players every success for the coming season. Many thanks to everyone who supported by taking out an add or purchased the 2018 Annaduff GAA club calendars recently . Next draw in McLouglins Drumsna this Saturday night remember to get your tickets !! As we move towards the end of what has been a difficult year for the club we hope that you can join us for a special Mass on Friday at 7pm in the Church of the Immaculate Conception in Drumsna to remember all those that we lost during 2017. Our AGM will take place on Sunday 5th December at 6pm in the Clubhouse. Our 2018 club calendar will be on sale shortly, Niall (087) 985 2113 and Barry (087) 653 8425 are taking orders. We came out on top in our Junior A Championship game on Sunday morning. Annaduff: Shane Cox, Colm Cox, Noel Ward, Chris Farrell, Donal McNabola, Owen Reynolds, James Cox, Nigel Cox, Matthew Reynolds, Ronan McCormack, James Riordan, Sean Duignan, Marcus Guckian, Joe Cox, Johnny O Connor. 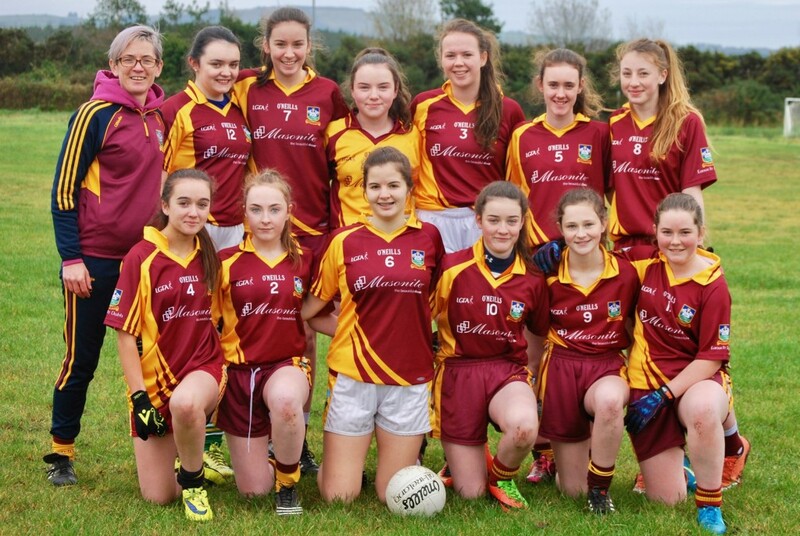 U17s had home advantage against Kiltrubit on Monday last in round 4 of the Championship. With the visitors getting the game under way with 3 unanswered points before Liam slotted Annaduff’s first point in the 13th min from a free. The Annaduff lads controlled the game for the rest of the first half with great points from Liam, Jack H, Michael M, Jason W, also 2 goals from Michael C and 1 from Hugh left the Annaduff men in high spirits at the break with Annaduff 3-07 Kiltrubit 0-04. The second half started with some good action from both sides with both sides exchanging points until the 48 min with a “Messi” style goal from Michael M followed up by another a min later. Kiltrubit did put the Annaduff keeper Padraig under a bit of pressure but were unable the penetrate some super goal stopping by the Annaduff keeper. Kiltrubit scroed 3 points and Annaduff finished with points from Michael C, Martin, Colm , and Jack H.
So many ways to make our family fun day such a success as it would be impossible to thank everybody individually. We are delighted that we will be presenting the North West Hospice €6,500 from the proceeds of the event in the near future. The feedback has been terrific and we look forward to hosting this annual event again in August 2018. 1st Prize: 4 nights accommodation for 4 people at The French Quarters Hotel in New York, plus Travel Voucher worth €500. Sponsored by Frankie Dwyer. WINNER: Eileen Maxwell, Killyfad, Annaduff. 2nd Prize: Hamper valued €200 sponsored by The Brandywell, Dromod. WINNER: John Casserly, Fearnaught, Annaduff. 4th Prize: 1 Night B+B plus Dinner for 2 at The Landmark Hotel, sponsored by The Landmark Hotel. 5th Prize: €100 Voucher sponsored by Ardcarne Garden Centre, Boyle. WINNER: Angela Neary, Shannon Haven, Dromod. Congratulations to the Carrick area community games team and especially their captain Peter Moran from Drumsna on their fantastic achievement in winning the all Ireland title at the weekend. Peter played a captain’s role all through the competition and it was fitting that he scored the winning goal in the dying seconds of the final. A large crowd welcomed the tam back to Drumsna on Saturday evening. Well done to our under 12 team who reached the final of the Mohill Festival blitz on Saturday last, our lads were beaten by a very strong Mohill team in the final. Our third outing in the senior championship started brightly in the sunshine in Ballinamore on Saturday but ended in a loss to Drumreilly. Drumreilly opened the scoring with two points which were cancelled out by two Sean McNabola scores and only some fine work by the Drumreilly keeper prevented Annaduff scoring an early goal. Alan Glancy gave Annaduff the lead on the quarter of an hour mark and this was followed by two more Drumreilly points. On the 16 minute a fine Annaduff move involving Eoin, Alan and Gavin finished with the ball in the back of the net and Sean Mc on an streacher. The half finished with two Drumreilly goals, one walked into the net and one from the penalty spot. In to the closing ten minutes, Drumreilly led by seven points and Annaduff helped by a penalty coversion from Alan narrowed the difernce to a goal but time ran out before the gap could be bridged. Annaduff: Jim McCormack, Garry Bohan, Dean Gill, Dermot Reynolds (Capt), Hugh Moylan, Aaron Duignan, Mattie Cox, Keith Duignan, Kenny Cox, Gavin O Brien (1:0), Eoin Gill (0:2), Conor Reynolds, Sean McNabola (0:2), Frank McNabola, Alan Glancy (1:1). Subs Used: Dillon Keane (0:1), Ray Cox (0:4), David Duignan, Chris Farrell. 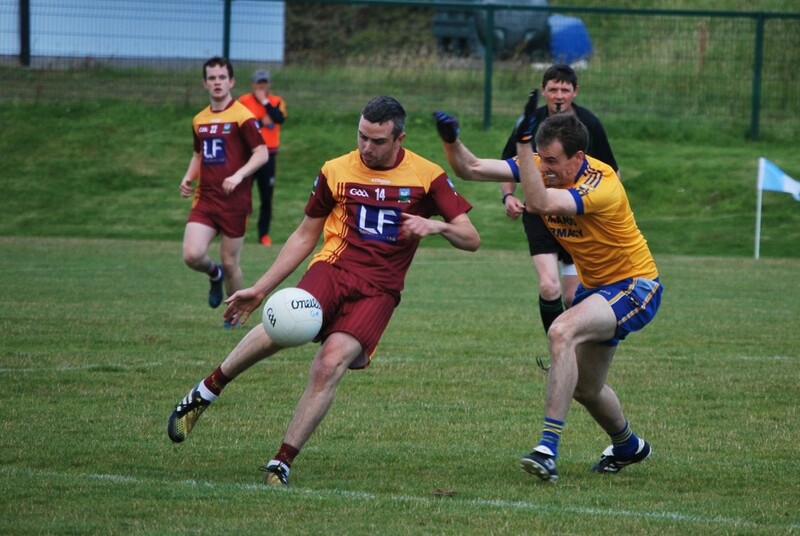 We continued our senior championship campaign in Drumshanbo on Saturday against GlencarMannorhamilton. Annaduff opened the scoring with two points from Sean McNabola but GlencarManor scored the next four without reply to put them 4 to 2 up on the quarter of an hour mark. Sean Mc continued to impress over the next ten minutes with a goal and two points to bring the sides level with half time approaching, another single exchange, ours from Alan Glancy saw the sides level at 1:5 a piece at the interval. The second half continued at the frantic pace of the first and Annaduff increased the variety of scorers, Alan, Frank, Eoin, Kenny and Sean Mc all registering. With normal time expired both sides were deadlocked at 1:11 each however GlencarManor put over two points in the 4 minutes of extra time to take the spoils. Annaduff: Jim McCormack, Garry Bohan, Dean Gill, Dermot Reynolds (Capt), Hugh Moylan, Aaron Duignan, Mattie Cox, Keith Duignan, Kenny Cox (0:1), Gavin O Brien, Eoin Gill (0:1), Conor Reynolds, Sean McNabola (1:6), Frank McNabola (0:1), Alan Glancy (0:2). Subs Used: James Cox, Matthew Reynolds. The Clubs 4th annual fun day takes place in its usual slot on Sunday next, the 13th of August from 2pm to 6pm. 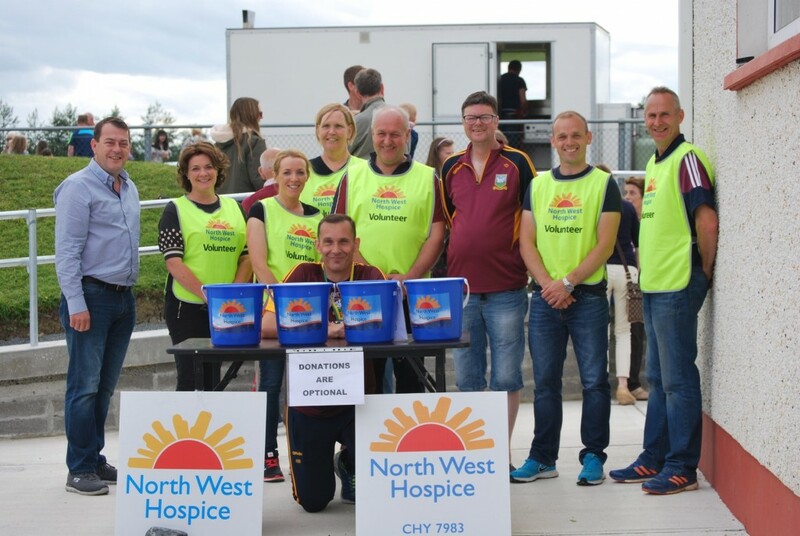 By now most people will be aware that in association with Tesco Carrick on Shannon, our charity partner this year is the North West Hospice. We are greatly indebted to everyone who lends support to this day in so many ways, and what began as a family day has grown into a wonderful Community event for this and surrounding areas. Hopefully the weather will be kind and we look forward to seeing you all there. Tickets for the fun day draw are on sale at the moment, and are available from any Club Official, Club Coach , or can be purchased at Tesco in Carrick-on-Shannon. As people will know the prizes are well worth winning, and the draw will take place in Coxs Steakhouse on the night of the 13th of August. Along with all of the old favourites, we welcome Coaches from the Leitrim Hurling Board to this year’s Fun Day. They will be giving expert coaching to the children taking part in the Blitz’s, and hopefully will have a few treats to share with the kids. Hurling is definitely growing in popularity in this area, and it’s great to see more and more youngsters from Annaduff linking in with our neighbours in St. Marys Hurling Club. Great response to the used book appeal and we are now in a position to sell off thousands of quality used books at the fun day, for rock bottom prices. Remember next Saturday is the last day for donations, and the Centre will be open from 10 am to 11.30 am to accommodate same.